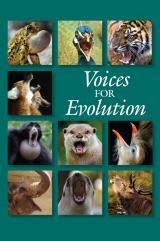 I’m always on the lookout—or should I say on the listen?—for material to add to Voices for Evolution, NCSE’s compilation of statements supporting the teaching of evolution and opposing attempts to undermine it. In the most recent edition, published in 2008, there were no fewer than 176 such statements, from a wide range of scientific, educational, civil liberties, and religious and freethought organizations. About three years ago, I think, I stumbled across a candidate statement, thanks to a scientist I never met. Ellis L. Yochelson was a paleontologist at the National Museum of Natural History, specializing in fossil mollusks. He was also a historian of science, who wrote a biography of Charles Doolittle Walcott, the discoverer of the now iconic Cambrian fossils in the Burgess Shale in the Canadian Rockies. Toward the end of his life, Yochelson was preparing a talk for the Geological Society of America on the organizational response of American scientific associations to the threat of antievolutionism in the 1920s. Alas, he died first. Fortunately, the historian of geology Michele Aldrich completed and delivered his talk, and both the text and the PowerPoint slides are available on the GSA’s website. In the talk, Yochelson discussed three Scopes-era statements: one from the American Association for the Advancement of Science (included in Voices for Evolution), one from the Smithsonian Institution, and one from the National Academy of Sciences. Of these, only the AAAS’s was widely publicized: it was published in Science in 1923 and reissued by Science News Service in 1925 amid the publicity surrounding the Scopes trial. The NAS’s statement, Yochelson explained, was the result of discussions at the academy’s annual meeting in 1921; the NAS’s president, none other than Charles Doolittle Walcott, was asked to appoint a committee “to consider what public action, if any, is advisable for the National Academy of Sciences to take in regard to the organized campaign against the theory of organic evolution,” and duly complied. The chair of the committee was John Mason Clarke (PDF), the state paleontologist and state geologist of New York and director of the New York State Museum. The committee initially balked at the idea of issuing a statement at all, regarding the NAS’s role as supporting research rather than advocating education. In his role as a director of a natural history museum, however, Clarke was receptive to the concerns of educators. In the end, the committee compromised, formulating a statement but holding it “in readiness for use if a more acute exigency should arise.” The committee’s report was approved by the NAS membership in 1923, but the statement was never formally issued—probably because Clarke, the strongest proponent of issuing a statement on evolution, died on May 29, 1925, just four days after Scopes was indicted. What did the statement say? Frustratingly, Yochelson’s PowerPoint presentation included only the first page of its three pages, which contained what might be described as glittering generalities—e.g., “[b]y arduous efforts, little by little, some of the underlying general laws of Nature have come within human knowledge and to the acceptance of our understanding”—and nothing about evolution proper. There has been no more magnificent and far-reaching generalization of a natural law than that commonly known as the doctrine of evolution, which involves, amongst its other elements, the recognition of the continuity of life and the development, through the ages, of living beings in structure and function. The conception is older than the Christian era; little by little it, too, has forced its way into understanding and acceptation by the educated members of every civilized community. The expression of it in general terms is the result of the skilled investigations of thousands of the most competent students of living nature. There are none so competent as they to formulate such an expression of natural truth. To refuse to accept this law, to deny it, to openly lampoon it, is the expression of ignorance, involuntary or unconfessed. The prose is a little purple, I think, but the sentiment is excellent. It’s unfortunate that it remained “unpublished and unknown” until Goldblum, provoked by a question from Yochelson, discovered it in the NAS’s archives. And what about the Smithsonian’s statement on evolution? Well, as with the NAS statement, Yochelson provided only a sample page; I haven’t seen the full text. If I find it, perhaps I’ll discuss it in a sequel post here at the Science League of America blog. In the meantime, take a look at the modern statements assembled in Voices for Evolution—and let me know if you hear of any statements that should be added.